Push-To-Talk over Cellular (PoC) applications have been around for about a decade, and although the basic technology that underpins them has barely changed over the past few years, the rugged smartphone market has witnessed some seismic hardware shifts. Until recently, users had to ‘make do’ with standard ruggedised smartphones that weren’t specifically designed to handle PoC applications, according to Andrew Wilson, managing director at Syndico. In most cases there wasn’t even a dedicated push-to-talk (PTT) button on the handset. However, today there is a whole host of different rugged smartphones with PoC capabilities that have been designed from the ground up, and this latest generation of kit is starting to drive significant uptake from end-users. But given the growing number of competing bits of hardware on the market, what do businesses need to consider when procuring rugged smartphones with a view to running PoC applications on them? 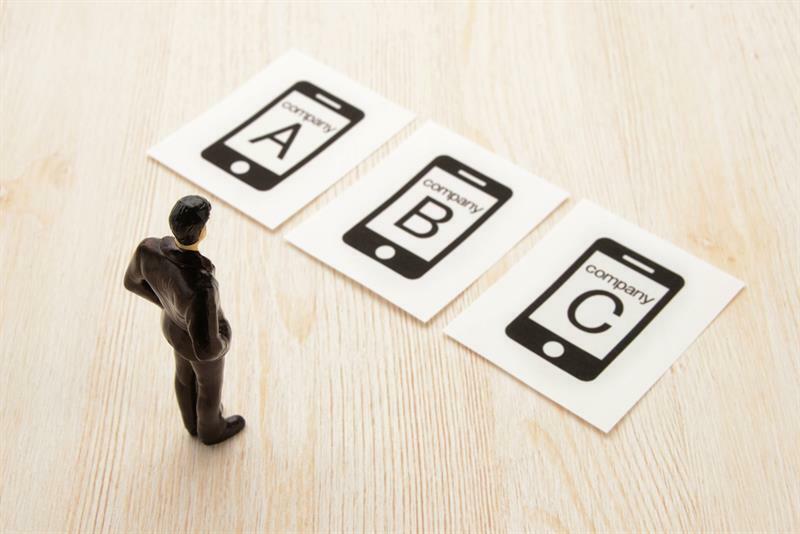 Although PoC rugged smartphone devices are widely in use, with the number of users growing all the time, there was initial reluctance in the dealer channel to accept them, says Wilson. This is just one of a wide range of different factors that potential purchasers need to consider when they start their search for rugged smartphone devices that they can run PoC applications on. For starters, there can be a big price difference between rugged devices and normal consumer smartphones, which is why it is vital that businesses ensure the device is going to be fit for purpose. Another factor that needs to be taken into account is whether their chosen PTT solution is fully compatible with their rugged device and, if the purchaser hasn’t yet made a final decision on their PTT solution, whether the rugged device they are eyeing up works best with a particular solution. The key advantages of selecting a device and then selecting a PoC solution is it gives you “greater freedom to find and test a PTT service that delivers the right features, quality of service, after-sales support, etc,” says Tim Shepherd, director of applications and market intelligence at Cat. Device (or potentially carrier) ‘agnosticism’ also gives users “greater freedom to grow or expand the solution onto other, potentially different, hardware – or, equally, the freedom to replace either the devices or solution if one part is found wanting”, adds Shepherd. Opting for a device with pre-integrated PoC also has its advantages as you are guaranteed full compatibility between hardware and software, plus you may be able to get a discount or deal by opting for a pre-packaged solution. For users on a tight budget, this latter point could be crucial because, Smith says, rugged devices with pre-installed PoC can cost upwards of £1,000 each. However, Land Mobile is aware of such devices retailing for around £290-£320, with a £70/year/device licence fee for the PoC service and a £70/year fee for the PoC system’s dispatching service. Beyond compatibility issues, other key considerations relate to whether there is a dedicated or programmable key that can be used for PTT, and the volume output of the devices. If devices for PTT are being deployed as part of an enterprise roll-out, then enterprise mobility management (EMM) or mobile device management (MDM) solutions are vitally important. With GDPR set to “change the shape of business mobility” when it is introduced in May 2018, businesses can’t afford to compromise in this area – they have to have the ability to remotely manage all of their devices, according to Smith. Rugged smartphone customers also need peace of mind that a device can withstand all manner of knocks and drops. When it comes to hardware, there isn’t a great deal to choose between devices, with most offering similar robustness, IP ratings, etc. Given the number of cheap imports flooding the UK market from overseas, businesses should always check that their rugged device has undergone the appropriate European safety compliance testing, advises John Swarbrick, Andromeda’s managing director. Form factor is important to some users because there are some environments in which traditional smartphones would look completely out of place. “I think there are certainly contexts in which it would look unprofessional – or, at least, poorly equipped – if a workforce were equipped with iPhones or mass-market handsets, particularly if they had broken screens or otherwise damaged hardware, due to the working environment being tough on mobile devices,” says Shepherd. However, as Green points out, looking unprofessional is one thing, operating unprofessionally with a device that isn’t fit for purpose is far more important when safety and security are at stake. For many users, device longevity is a priority, and this isn’t just about robustness – it also covers the issue of manufacturers releasing new versions of devices that make some older models obsolete, which can be frustrating, and costly, for end-users. Ultimately, the hardware and software that will be selected boils down to total cost of ownership and how the device will be used, says Shepherd. Although PoC is increasingly gaining traction in the market, some users prefer hybrid LTE-DMR devices and there are some environments in which opting for the latter makes sense. “Depending on what is required, there could be contexts in which a hybrid LTE-DMR device dedicated chiefly to radio comms could be a more appropriate purchase – they might offer larger PTT keys, for instance,” says Cat’s Tim Shepherd. Syndico’s Andrew Wilson agrees. He says that the major benefit of using a hybrid LTE-DMR handset such as the Hytera PDC760 is you can have the best of both worlds. Do check that you can run your chosen PoC solution on your hardware of choice. Devices with pre-integrated PoC are sometimes the best option. Do make sure you run enterprise mobility management applications across your fleet of devices. Do look into the LTE coverage in the areas you’re looking to use the device in and make sure you’re using the best network(s) available. Don’t opt for a standard consumer smartphone if you’re going to use the device in a rugged environment. You may save money in the short term, but more often than not it proves costly in the longer term as you may need to regularly repair or replace damaged devices. Do choose a PoC service that's OMA PoC compliant. Don’t forget that PoC services rely on commercial and unhardened mobile networks. If you need the system to stay up during a widespread and long-duration power cut, then a hybrid LTE-DMR or standard two-way radio system may be more appropriate, depending on your budget and need for wide-area coverage. Don’t rush into making a decision. There are a wide range of PoC options on the market at the moment so shop around and make sure you find a rugged device that is fit for purpose.